The information presented on this page was originally released on June 24, 2011. It may not be outdated, but please search our site for more current information. If you plan to quote or reference this information in a publication, please check with the Extension specialist or author before proceeding. MISSISSIPPI STATE – Mississippi’s sunny skies are producing sweet watermelons and blueberries just in time for Fourth of July tables. 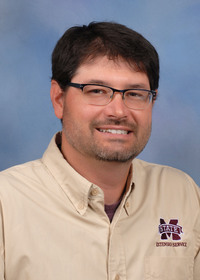 David Nagel, horticulturist with Mississippi State University’s Extension Service, said most of the state’s fruit crops saw very little rain as they approached maturity. Fortunately, many of Mississippi’s commercial watermelon and blueberry plots have irrigation and plastic mulch to help protect plants from droughts. Nagel said clear skies promote sugar content, making sweeter fruit. Chickasaw County Extension director Scott Cagle said local watermelon growers faced weather challenges at planting time. Wayne Porter, Extension area horticulturist based in Meridian, said the hotter-than-normal temperatures pushed fruit to maturity ahead of schedule. The lack of rain has helped keep disease pressure down. Porter said growers are getting good prices for locally grown blueberries. Most of Mississippi’s competition comes from Georgia and North Carolina. Porter said new varieties and growers’ abilities are extending the state’s harvest window. “Mississippi will be harvesting blueberries through July and early August in northern counties, as different varieties and areas of the state reach market,” he said.